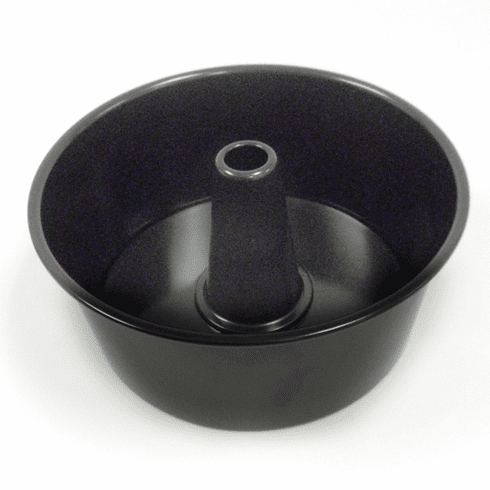 This angel food cake pan can also be used to make bundt cakes, coffee cakes and fruit cake. Pan measures 9.5"/24cm diameter by 4"/10cm deep. High quality nonstick surface for easy release and cleaning. Uniquely designed wide lip edge is ideal for ease in handling. Removable bottom makes getting out your cake quick and easy. Hand washing recommended.